We know that our Terminal (more precisely, our bash) saves commands history in .bash_history file. But we also know that our Terminal doesn't save the output of every command. How if we want to do that and save output as a text file? For example, we want to analyze every command output or learn how apt-get works (like me). 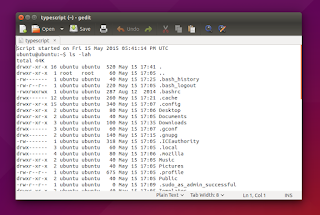 We can do it with a program named script from util-linux package from Linux Kernel Archive. The program is pre-installed in Ubuntu. I will show you how to use it and how to run it every time Terminal starts. 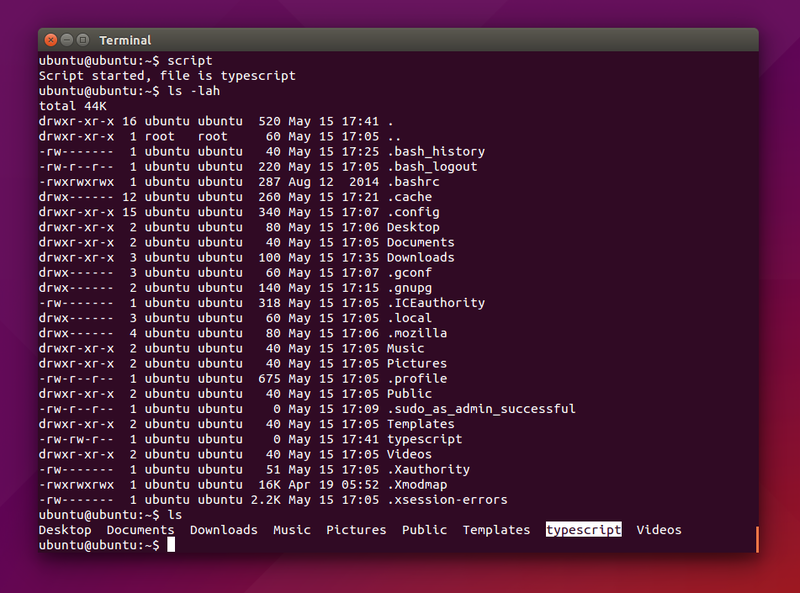 As I said above, script program is pre-installed in Ubuntu. 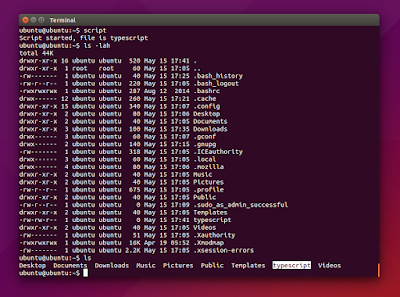 To use it, just type script in Terminal. Then use your Terminal as usual. To stop script from recording, press Ctrl+D in Terminal. The record is saved in Home by default. The record is named typescript (yes, without any .txt extension) by default. You can open the history file typescript with Gedit. Just use command script customfilename.txt. See picture below. You can change the name as you want. If you want to record all Terminal output without typing script command every time new Terminal opens, you can configure it easily in GNOME Terminal preference. 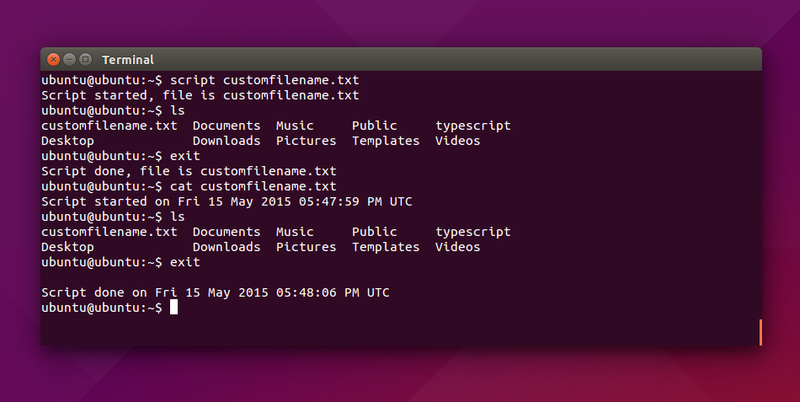 As an example, you can use command script --append /home/ubuntu/Documents/history.txt. 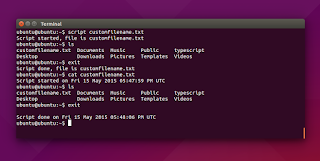 You will find the record in /home/ubuntu/Documents/history.txt file path.